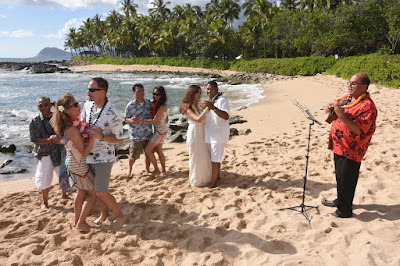 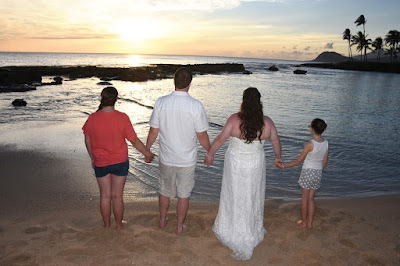 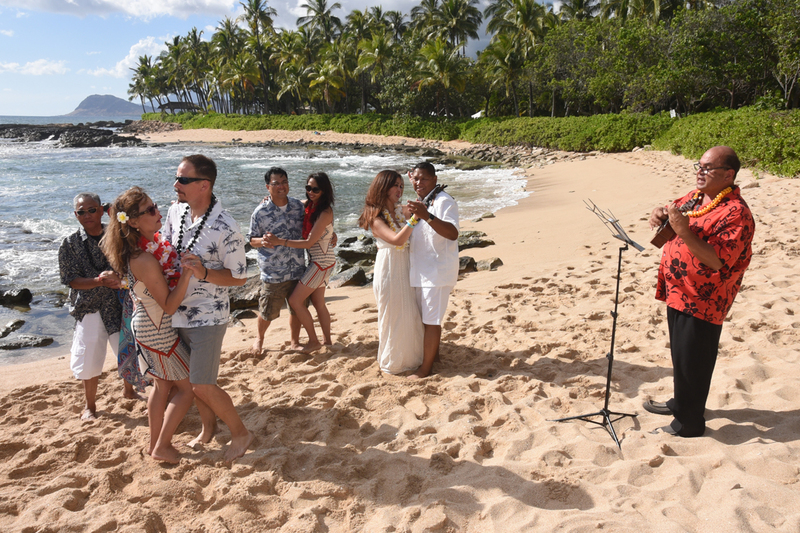 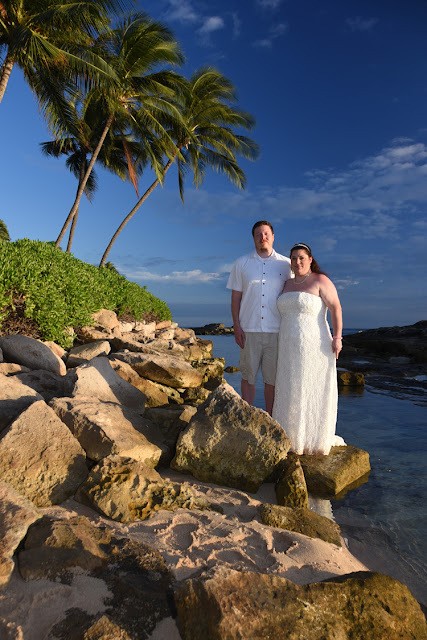 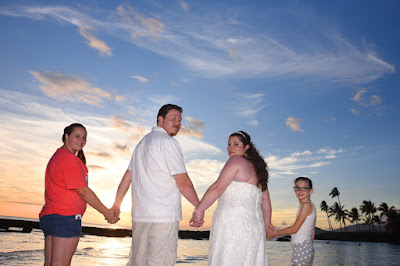 Angel & Norman bring their family along to celebrate their wedding vow renewal at Ko Olina Beach. 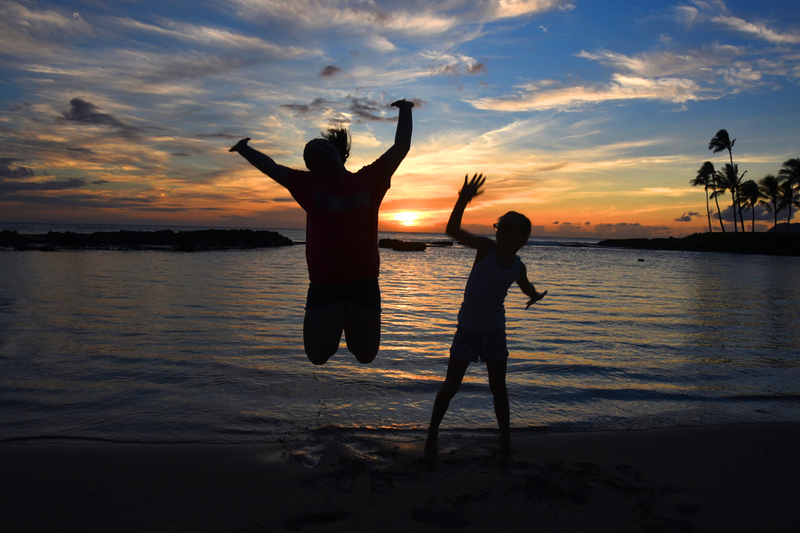 After some clouds in East Oahu, the drive to the West side was worthwhile for an amazing sunset like this! 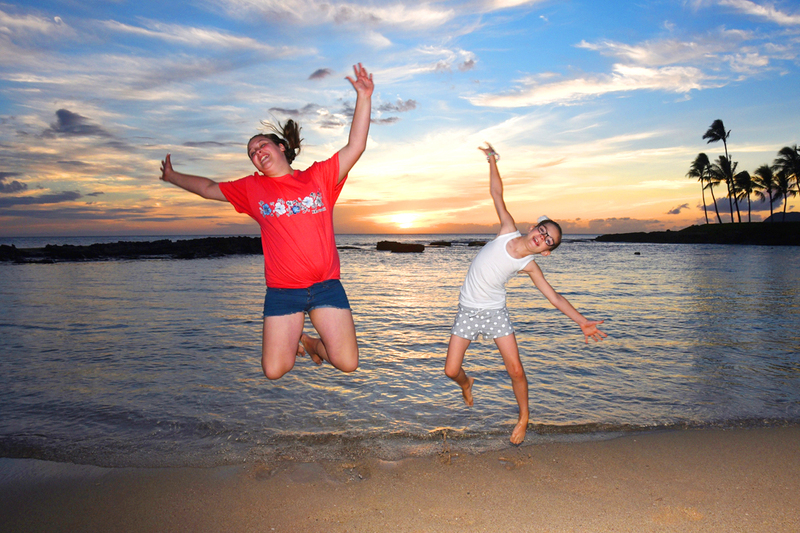 The sunset sky at Paradise Cove Beach makes an unbelievable backdrop for family photos! Jumping at a wedding makes the photos lots of fun! 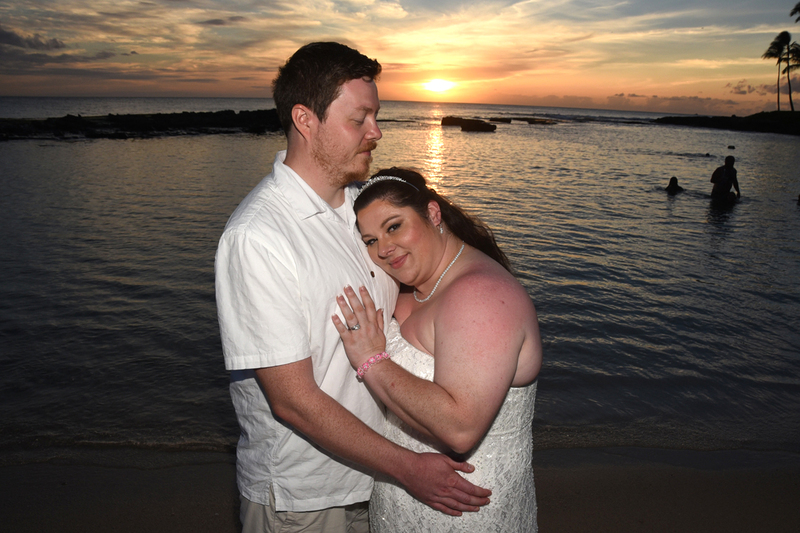 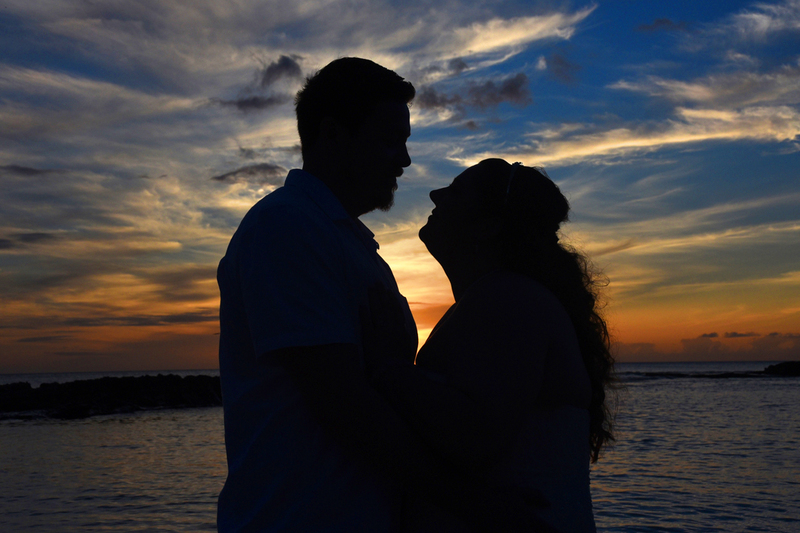 Ryan and Rochelle drive all the way to Ko Olina (West Oahu) after their Kailua Beach Wedding in East Oahu, to capture some beautiful sunset photos.